Product #21594 | SKU SAHT08BLACK | 0.0 (no ratings yet) Thanks for your rating! 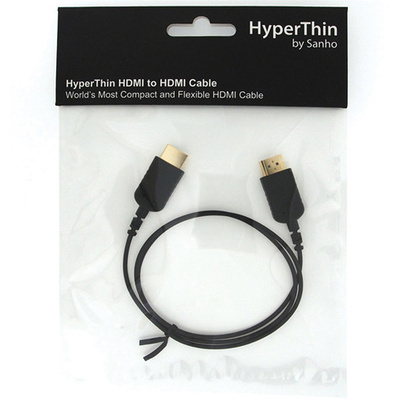 The black HyperThin HDMI Cable (0.8m) from Sanho is a compact and flexible HDMI cable that is less than 2mm thick. It is suitable for use with all HDMI devices.